McLean, VA, June 14, 2016 — Corcentric™, a provider of cloud-based financial process automation solutions, today released its new report in partnership with PayStream Advisors, 2016 P2P for Indirect Spend Report, which explores trends in indirect Purchase-to-Pay (P2P). PayStream Advisors surveyed over 200 back-office employees across several industries and market segments to pinpoint the main concerns for indirect spend. What they found is that in indirect P2P, most organizations are tasked with the challenge of managing procurement, accounting, supplier and payment data across multiple business and dealing with various owners. The complexities involved with these processes can lead to issues including high processing costs, late payments, supplier dissatisfaction, and fraudulent spend. Technological changes have transformed businesses globally and insights drawn from the report further indicate the need for companies to accept a digitally-driven marketplace. PayStream attributes low adoption rates of P2P software to a lack of awareness of the benefits. 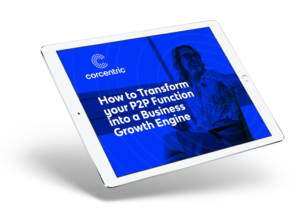 With P2P automation, companies are offered a unified and transparent system, increased control over financial health, and overall improvements in process efficiency.